Eau Sauvage Extrême Eau de Toilette Intense is a fresh aromatic woody fragrance. 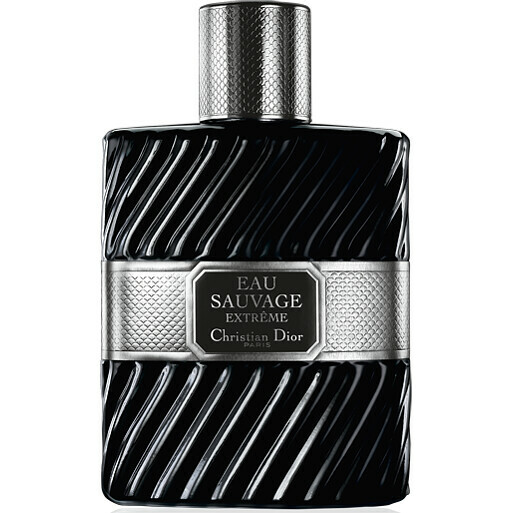 The timeless elegance of Eau Sauvage, heightened with a powerful, masculine woody accord. SICILIAN LEMON: The fresh, rising notes of Sicilian lemon are extracted by cold expression of the peel. They are used in light fragrances, men's colognes or floral notes. Bold and refined, Sicilian lemon is the invigorating and spontaneous top note of Eau Sauvage Extrême. LAVENDER OF VAUCLUSE: Lavender is primarily a floral and coumarin note with a woody tone. The essence is extracted by steam distilling the freshly cut flowers. Its mysterious, sensual facets unfurl as the top note of Eau Sauvage Extrême. VIRGINIA CEDAR: Indigenous to the United States, the essence of cedar is extracted by steam distillation. Its refined, noble scent is used to deliver an invigorating, energizing tone to base notes in many men's fragrances. 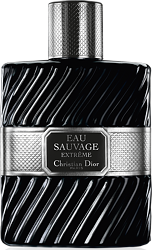 DIOR Eau Sauvage Extreme Eau de Toilette Spray 100ml is rated 5.0 out of 5 by 7. Rated 5 out of 5 by Newyear from Intoxicating and Enduring I am deciding when best to wear this EDT. Is it for special days or do I use it everyday? Not sure yet, but I do know that it is a scent which has warmth and longevity and a reassuring feeling of quality. Rated 5 out of 5 by Amerigo from Top of the Class. Eau Sauvage Extrême from Escentual is a great product combined with a great price and excellent delivery. This is an extremely effective and long lasting scent that is loved by all, you cannot buy any better at this very good price and would recommend this to anyone. Well done Escentual.